Come discover Nuevo Vallarta’s “El Chino” Estuary and its marvelous mangroves and navigable waterways. This tour was created especially for bird watchers and those who love to get up close and personal with nature. 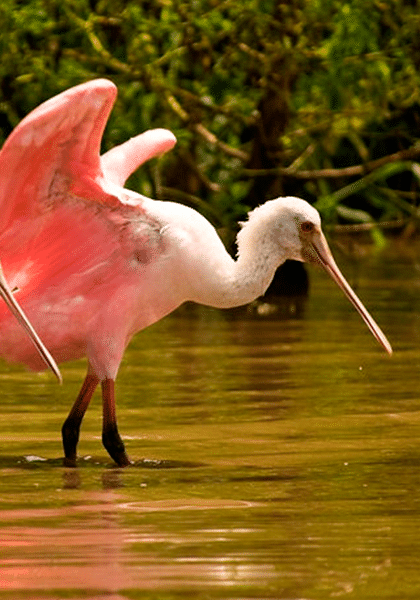 During this journey you’ll enjoy a tropical ambiance deep in the heart of the jungle as you navigate along tunnels through dense vegetation and mangroves, observing exotic birds such as cormorants, chachalacas, wild ducks, and herons in many different colors (including the eye-catching pink heron). The impressive landscape also harbors diverse iguanas (black, green, and the queen iguana), not to mention crocodiles in all stages of life in their natural habitat—you’re going to love everything you see! Come view all the different species accompanied by a certified bird-watching guide and expert in the Riviera Nayarit. The Nuevo Vallarta Estuary Eco-Tour is ideal for the entire family, from the littlest ones to parents and friends—everyone will enjoy this magical tour of the estuary that surrounds the Marina in Nuevo Vallarta. 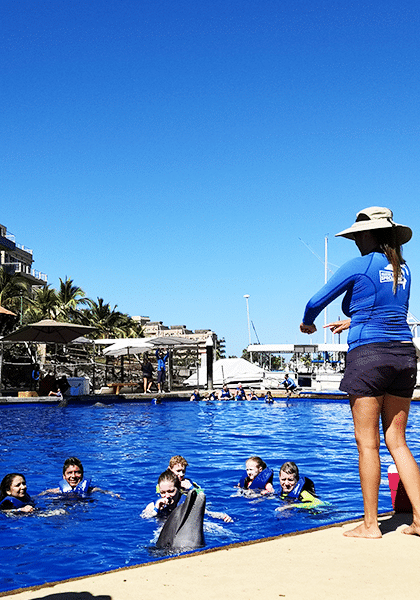 During the tour you can also catch sight of dolphins and sea lions as they interact with families participating in the Dolphin Swim Program at the Vallarta Adventures Dolphinarium. If you’re a nature-lover and would like to enjoy bird-watching in the cooler morning hours, you’ll find several tour operators in the Paradise Village Marina to take you. This tour is usually held during the morning to better observe the fauna in its natural habitat, however, that can vary according to availability and demand. 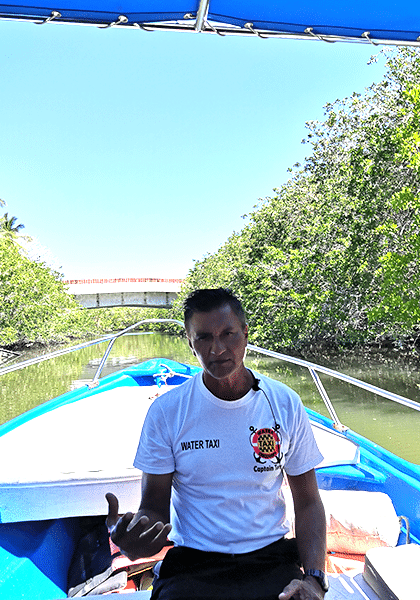 Ask for Captain Tony, the best certified guide in the Riviera Nayarit! Departure days: Monday, Wednesday, and Friday. Departure times: 10:00 a.m., 12:00 p.m., 2:00 p.m., and 4:00 p.m. The tour lasts approximately two hours and includes water plus an expert bilingual guide. Maximum capacity for this tour is 16 passengers per trip. For more pictures and videos, click here. Take a minute to explore even more activities in the Riviera Nayarit, including sea lion encounters, whale watching, and turtle release programs.